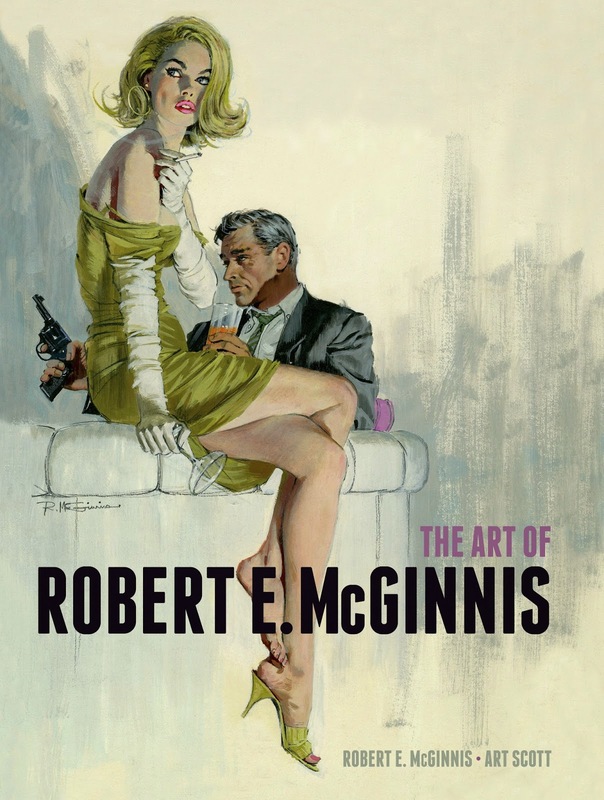 If you think the illustration fronting the new book The Art of Robert E. McGinnis (Titan), by Robert E. McGinnis and Art Scott, looks familiar … well, it ought to. 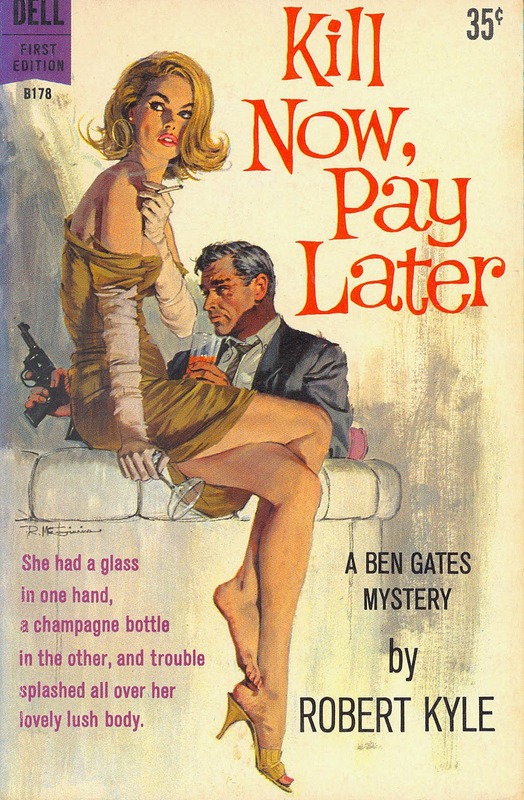 That painting of a long-legged blonde seated, with her cigarette and an empty champagne glass, in front of an armed, confident-looking man with a drink was originally used on the 1960 Dell paperback Kill Now, Pay Later, by Robert Kyle (né Robert Terrall)--the third of his five novels featuring New York City private eye Ben Gates. Below, you’ll find that Eisenhower-era cover as well as a scan of McGinnis’ original artwork. 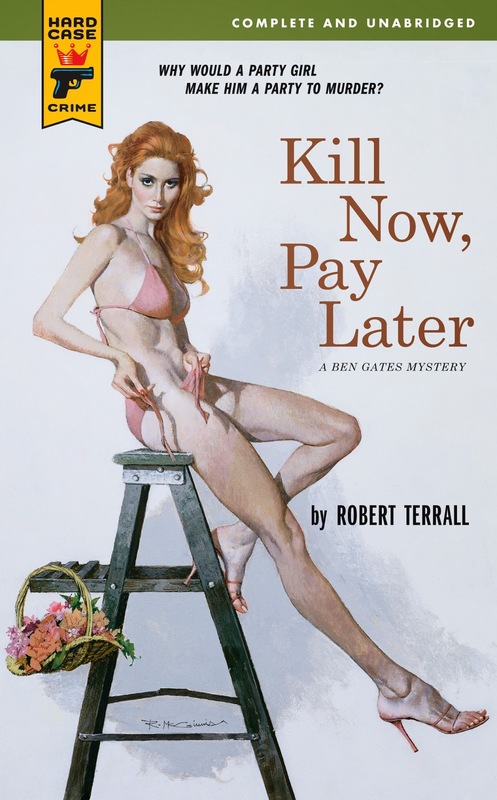 The two images below come from Hard Case Crime’s 2007 edition of Kill Now, Pay Later (this time featuring Terrall’s real name on the front). 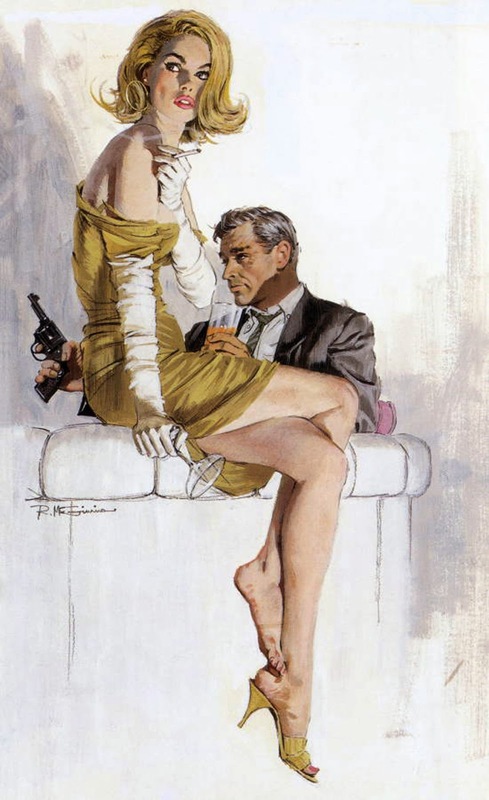 As in 1960, McGinnis created the artwork. A scan of his original painting for Hard Case is at the bottom of this post.